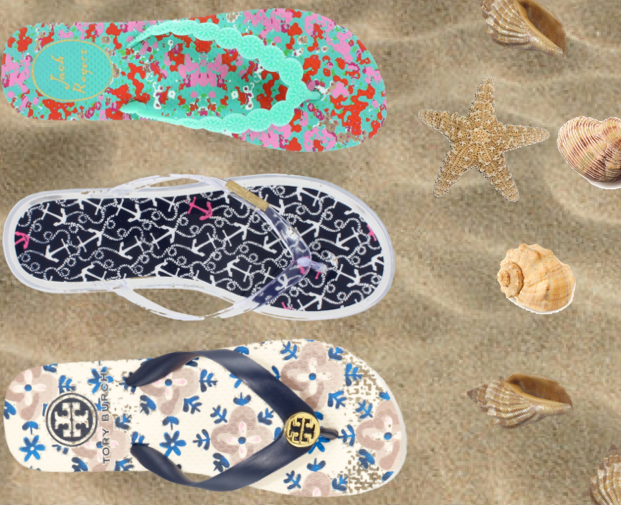 Do you have a favorite beach flip flop? Oh my gosh, I love all of these! Especially the Tory Burch ones. Those Lilly ones are SO cute!! I neeeeeed those! I like the Vineyard Vines flip flops but I mainly wear the Chaco or the ORthaheel flip flops. I love those Lilly flip flops! So cute.